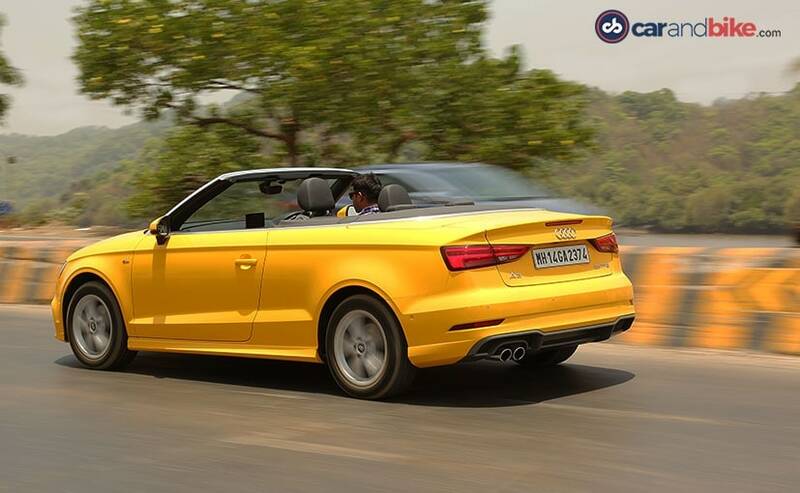 Coupes and cabriolets, in India, are a rare species; and when Audi decided to bring us the drop top A3, back in 2014, it was a gamble, yes; but one that was welcomed, with open arms, in India. 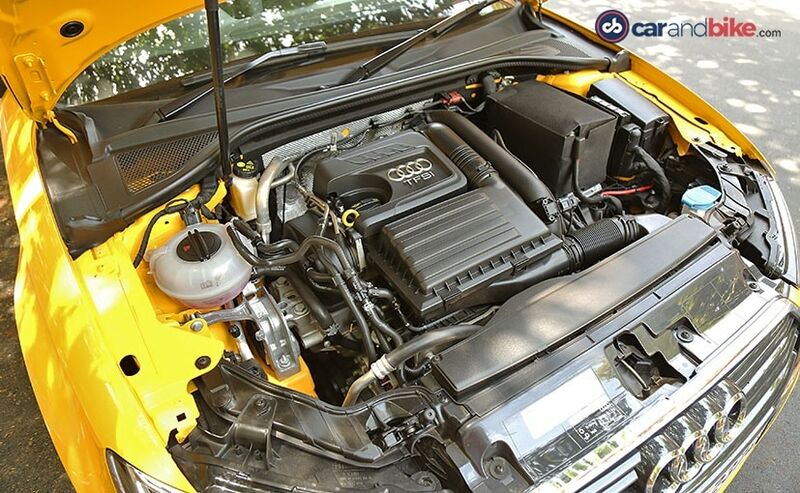 Audi, in fact, had a long line of orders and it has already sold 800 units of the car, in India; and knowing how popular it's become, it was time the facelift came to India. 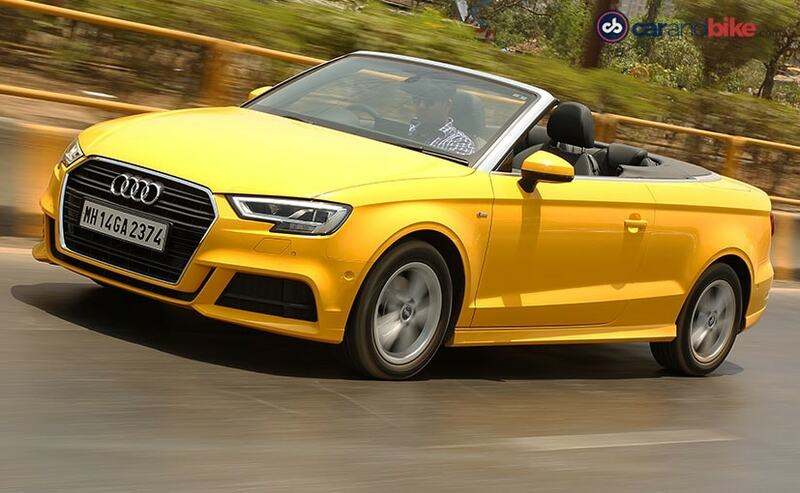 The A3 Cabriolet facelift launched, even before the sedan hit our shores and that doesn't really come as a surprise now, does it? 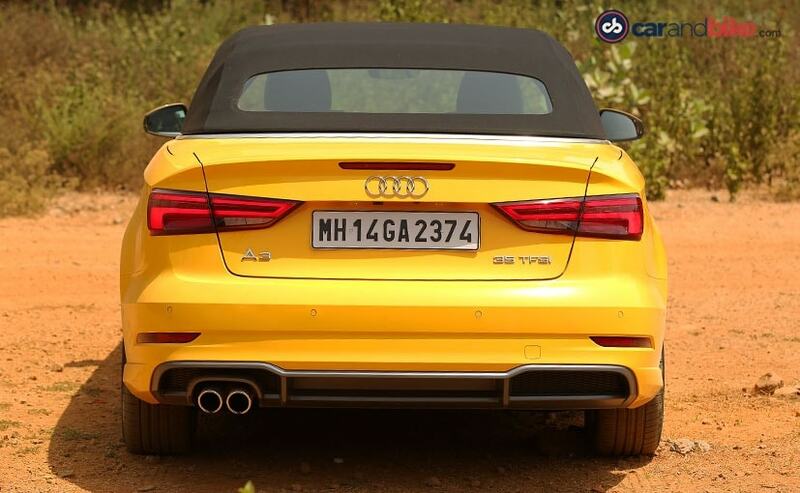 The A3 Cabriolet shares its face, with the A3 sedan; but there's a lot that's different. To begin with, it's a two-door and has a shortened wheelbase (42mm) and length (35mm), as compared to the sedan and this is not new because the pre-facelift version too saw similar changes. It's 75 kgs heavier than the four-door A3, but it's the aluminium trim framing, on the side windows and the A-pillar and the redesigned air dams, on the front bumper, that give it a whole new dimension and that's why you keep staring, at the car; and, well, others do too. It's the drop top though that gets all the attention and it comes down, in just 18 seconds and even at speeds of 50 kmph; so you can pull it down on the go, to add to the drama. 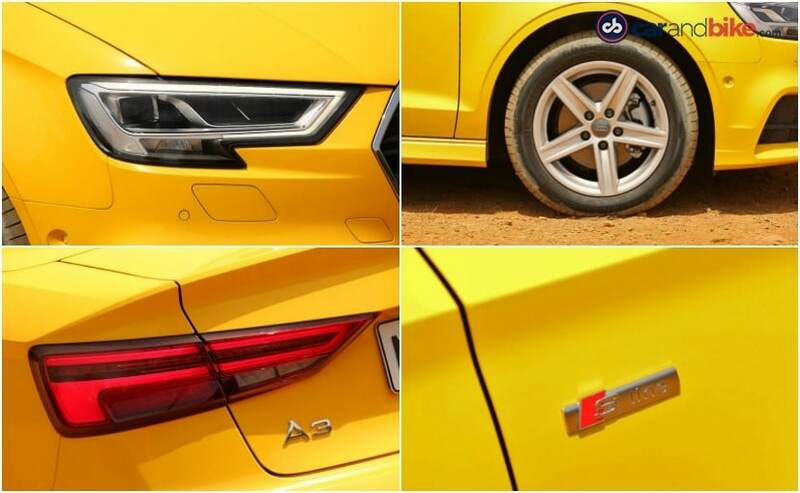 It's this experience that's the selling point of the A3 Cabriolet and draped, in the 'Vegas Yellow colour, the A3 looks absolutely smashing! You, of course, have the option of choosing the colour of the soft fabric on the roof - black, grey or red. But there's another reason why this car is important and that's because it's the first Audi model, to bring us the 1.4-litre TSI engine. So, how does it drive? It's the same engine as the one, in the sedan, the 1.4 litre, which churns out the same amount of horsepower - 148 and the same 250 Nm of torque. The engine noise is well curtailed and I loved the way it drives. The suspension, though a little stiff, is good enough to be driven on Indian roads. The 7-speed Stronic automatic gearbox adds to the convenience, but there is a bit of hesitation, when you shift, in the early stages. Now, this 1.4-litre motor runs by 'cylinder-on-demand', which gets two of the cylinders to shut down, at low output requirements; and yes, it's pretty refined. You get only two modes - 'D' and 'S'. The 'D' mode is the less responsive of the two. With the 'S', you get a surge of power instantly; but, of course, that affects the fuel economy, which Audi claims is over 19 kmpl, which is pretty astounding, for this car. But, there's a lot that goes missing, in a car that costs close to 50 lakh rupees. There's no start/stop button, keyless entry or electric seats and there are limited stowage options. There's no virtual cockpit either and hardly any space, at the rear. The boot space has shrunk from 425 litres, on the A3 sedan, to 320-litres, as it needs space, for the folding soft top. But, as convertibles go, the 320 litres is a decent number. Throw open those frameless doors and you'll appreciate the premium quality of the cabin. Though it is primarily draped, in black, the silver trim is used extensively, to highlight each and every detail. There's a sleek retractable screen and four distinct air-vents that redirect cool air, remarkably well. 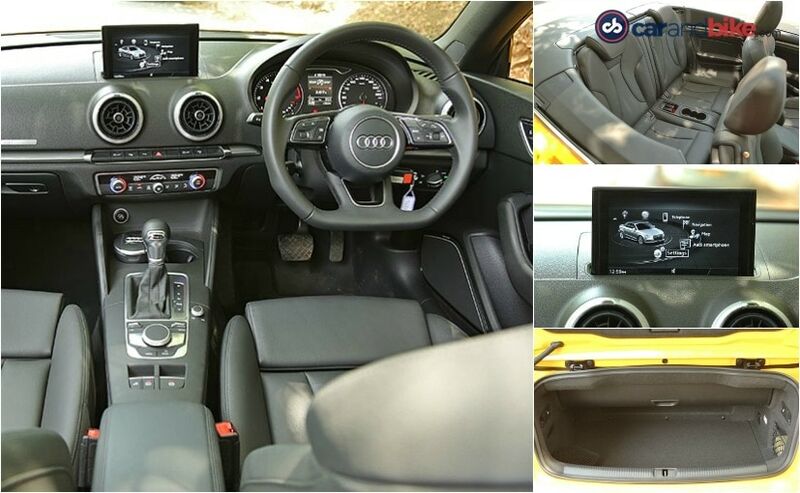 It's not too bad, on features; as you get an Audi phone box, with wireless charging, an Audi sound system, that includes a Bang and Olufsen unit with a single CD player and an MMI and a smartphone interface, along with a multifunction flat-bottom steering, with paddle shifters. There are also the front and rear parking sensors, with a rear view camera. On the safety front, it gets five airbags, ASR, ABS with EBD and even ESC. 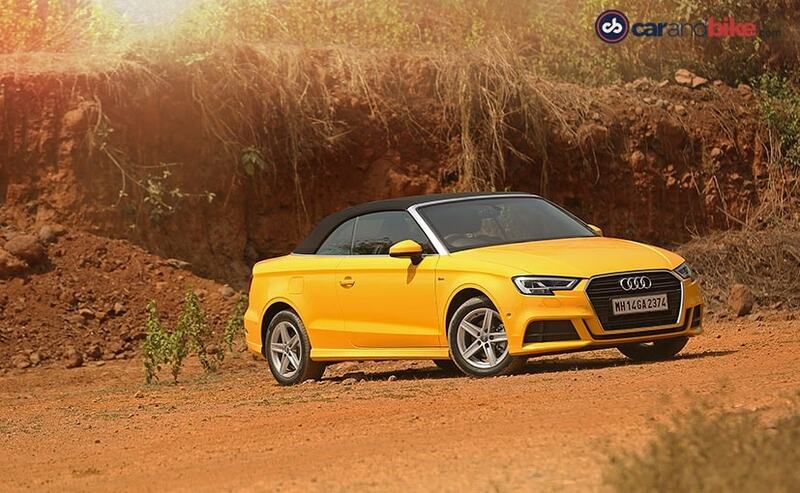 The A3 cabriolet competes with the likes of the Mini Cooper Convertible, which is 13 lakh rupees cheaper; but it's the car, you'll go to, when you want the world, to take notice of you. This one is not about practicality; it's about panache and individuality.